Big Finish Productions have confirmed that they are set to release a new volume of audio adventures featuring David Bradley returning to play the First Doctor. Joining Bradley will be his co-stars from An Adventure in Space and Time, reprising their roles as the iconic first TARDIS team: Jamie Glover (Elizabeth, Waterloo Road, Holby City) plays Ian Chesterton, Jemma Powell (Alice in Wonderland, Angel, Foyle’s War) plays Barbara Wright, and Claudia Grant (Harry Potter and the Cursed Child) plays Susan – the Doctor’s granddaughter and the original ‘Unearthly Child’. Powell currently plays Barbara in Big Finish’s Early Adventures range. 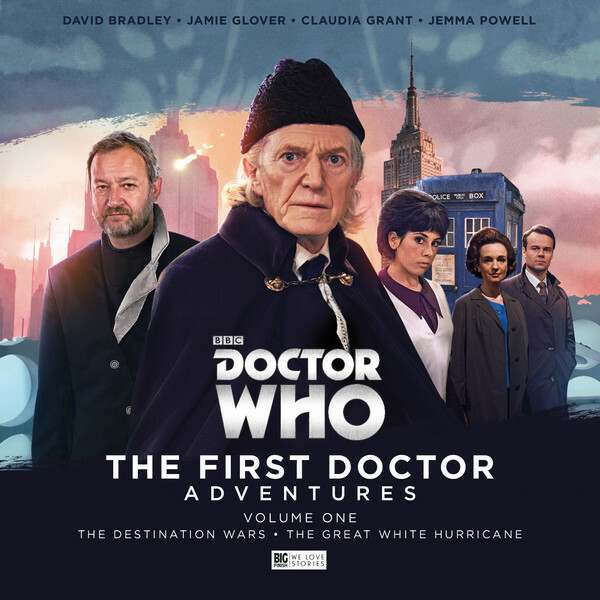 Also in these adventures, the First Doctor will encounter his greatest foe, with the first incarnation of the Master to be played by James Dreyfus.